If you are searching for a small project to work on and learn new stitches and techniques, granny square patterns are the perfect answer. 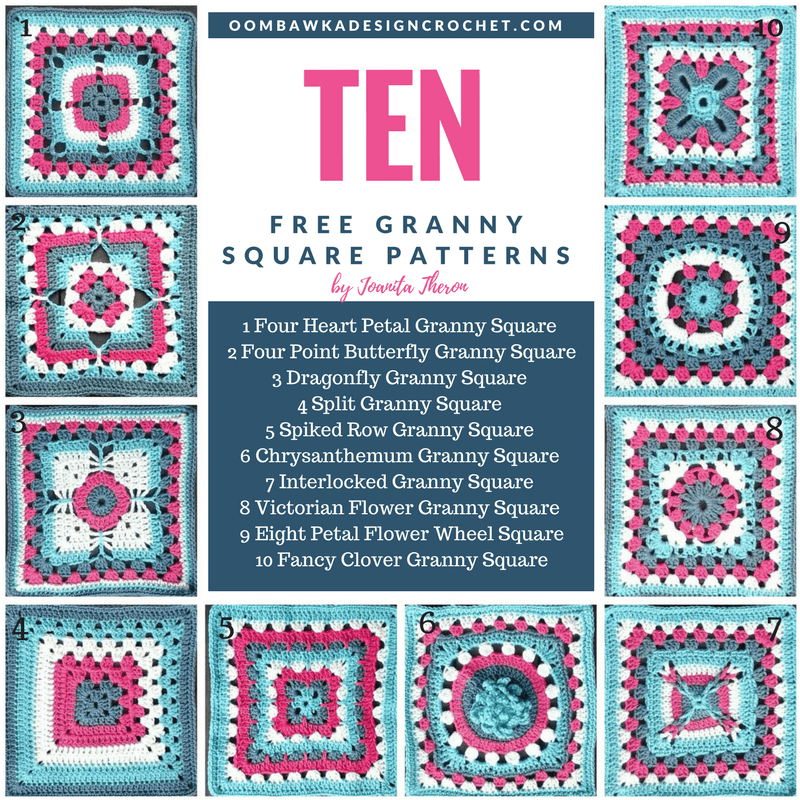 This post includes a collection of 10 pretty granny squares for which tutorials and free written patterns are available. Each square is approximately 9 inches in size. These have been created as part of a CAL event called the Crochet A Block Afghan 2017 taking place at Creative Crochet Workshop. If you love Afghan Squares you may also be interested in these collections?